Do you know about Apple's iBeacon Technology? Do you know about Apple’s iBeacon Technology? IBeacon is Apple’s new innovative technology, based on Bluetooth low-energy wireless or Bluetooth smart process. It can be otherwise called as “Bluetooth transmitters???. It has been introduced in mid of 2013. The creation took place to provide information, services and simplifying payments to Iphones, Android, ipad and ipod based on their locations and . 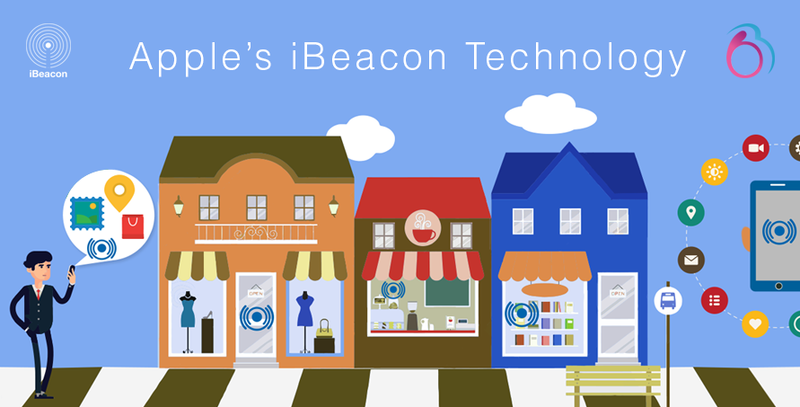 Popularity knocked Apple’s Beacon’s door on December 4, 2014, as 254 retail shops have been installed with IBeacons. This device can be set in retail shops, Museums, Airlines and also in Navigations, classroom and education, zoo, smart sushi, automation, loyalty programs, in-door location. Its marketing value increased in 2014 as everyone speaks about Beacons. Each Beacons have its own default settings which differ from others like some will advertise at 1 Hz while other can at 10 Hz. How it works: IBeacon is a very small device work through battery that transmits information with the Bluetooth low energy. It send signal with the range where the Beacons are set into. IBeacon send signals when the Apps installed in your Iphones. You will receive detailed messages little by little when you come into its range. If the distance is quite closer, Beacon could display special offers, when you pass through the retail shops where Beacons are already installed. It can be placed in any mode of platforms like Mirror, Glass, Walls, and Strands or even in a desk. Retail shops like Brick and Mortal use this technology for their mobile marketing. They provide special offer to their customer through Beacons and can enable mobile payments. Indoor locating system: IBeacons can also be installed with an app as “Indoor locating system???. Beacons can transmit context to the smartphones with its location in a store. Retail shops like Brick and Mortal use this technology for their mobile marketing. They provide special offer to their customers through iBeacons and can enable mobile payments. The clients can walk out with their products as their payment already has been already done with smart Beacons. Installation: IBeacons now being used in museums also. Museums are the most beneficiaries of this technology. Beacons can exactly sense the location of the visitors in the museum and give relevant information of the painting which they are looking at. It’s not necessary for them to search for the brochure or a guide to give explanation of the painting. Beacons could send reports, highlighting what was happening in the world during the time of painting. Beacons in Airports can help the traveller to find way and display special offers on their range. Travellers can get Welcoming information, flight information like boarding time, gate numbers etc. This will save time saver for the travellers instead of searching the things for their travel. Conclusion: IBeacons are really a future and become a Boon to the retailers for all the industries. Arrival of this technology, customize people’s need in a Minuit with their range location. IBeacon reduces the complications and effort to the customer to find their deals. This is a truly a new dimension of customer experience.